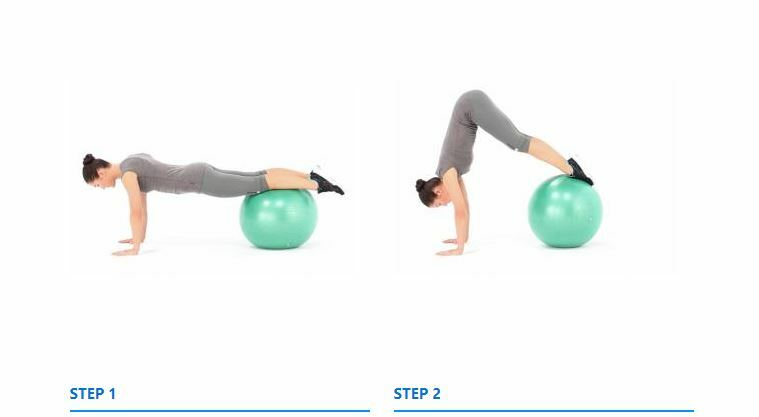 Exercise Instructions: Start in push-up position with your hands about shoulder-width apart and your shins resting on a Swiss ball. Raise your hips upward as you roll the ball in toward your hands. Pause at the top before slowly lowering to the starting position.